Solar radiation is fundamental to life on Earth, providing the ceaseless supply of energy that fuels nearly every ecosystem on the planet. Beyond making our very existence possible, energy from the sun has for decades attracted attention as a clean, renewable alternative to fossil fuels. 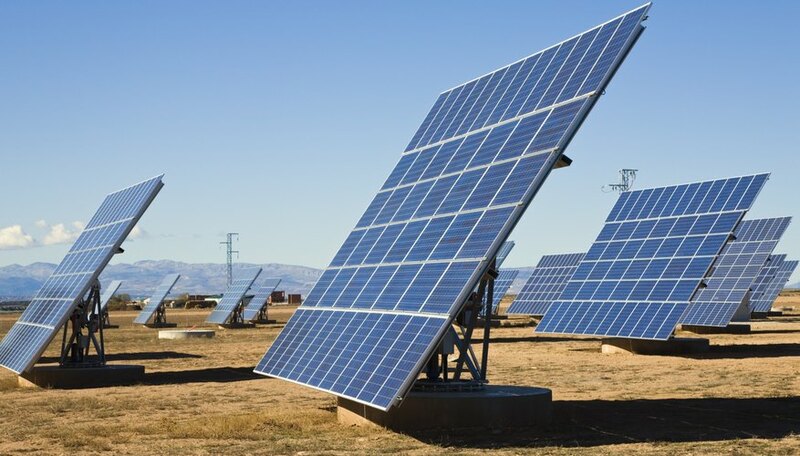 Though at present it supplies only a fraction of global energy, the solar industry is a rapidly expanding component of the renewable energy sector. While debate certainly continues over the cost, practicality and performance of industrial-scale solar installations, the technology offers much promise as a sustainable source of energy. The sun produces energy through thermonuclear fusion in its core; this energy is released from the star as neutrinos and electromagnetic, or solar, radiation. After a roughly 8-minute voyage across 150 million kilometers (93,000,000 miles) of space, about half a trillionth of the solar radiation generated by the sun reaches Earth. The atmosphere reflects some 29 percent of this incoming energy and absorbs roughly 23 percent. About 48 percent reaches Earth’s surface. Photosynthetic organisms, such as green plants, use this energy to manufacture carbohydrates from carbon and water. This process translates solar radiation into a form usable by other living things. Modern solar technology is divided into passive and active categories. Passive solar energy exploits the heat or light of the sun directly, as in a building designed to provide natural light. Active solar technology includes photovoltaic and solar-thermal systems. A photovoltaic installation generates electricity from sunlight using a semiconductor, a material that produces an electrical charge when solar photons excite its electrons. Solar thermal energy systems concentrate and channel solar heat, either for heating purposes in a home or to fuel industrial-scale steam-powered electrical generators. On a broader level, radiation from the sun is also the ultimate driver of many other energy sources. The remains of organisms powered by sunlight compose coal and hydrocarbons, for example, and differential solar heating of the planet helps spur the air and water currents tapped through wind and wave energy. Burning fossil fuels introduces greenhouse gases such as carbon dioxide and methane into the atmosphere. These gases are so-named because they absorb outgoing long wave radiation from the planet and are thought to boost global temperatures -- a process somewhat similar to the function of a greenhouse. Using solar energy does not emit greenhouse gases, although emissions can result from the production and installation of solar technology. A 2014 assessment published by the International Energy Agency suggested that photovoltaic and thermal energy systems could potentially constitute the largest source of global electricity by 2050. This scenario, the agency reckoned, could prevent more than 6 billion tons of annual carbon-dioxide emissions by that year. Compared with reserves of fossil fuel, which are finite on the human timescale, solar radiation is a renewable resource of extraordinary scale. As the IEA notes in a 2011 report, “Solar energy is the largest energy resource on Earth -- and is inexhaustible.” The amount of solar energy received by Earth in a year exceeds the energy that has been garnered from oil, natural gas, coal and nuclear sources in the history of humankind. The amount received by the planet in an hour is greater than the globe’s entire yearly energy consumption. 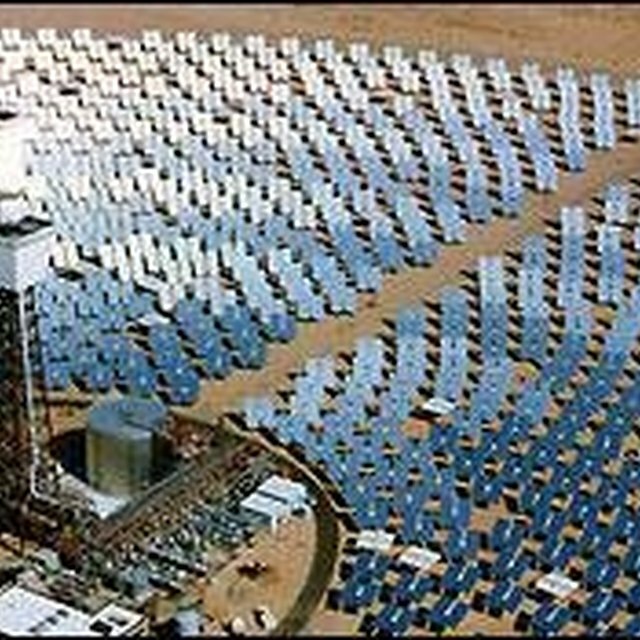 Because solar facilities can be so broadly spread out, and because they’re made up of many separate devices, they’re better protected against disruptive events like storms, which can knock out power to large populations by damaging just one generator or transformer station in a centralized electricity grid. And because many solar technologies use less water than fossil-fuel or nuclear power plants, they may also be more resilient in the face of drought. Solar energy is highly modular -- composed of many individual installations that can be linked together -- and can be implemented at many scales, from distributed generation through rooftop solar panels to a utility-scale thermal plant. As of 2014, a large-scale thermal generator plant in California, the Ivanpah Solar Electric Generating System, is the globe’s largest concentrating power plant. It has a top capacity -- not to be confused with actual generation figures -- of 393 megawatts, or enough electricity to serve 94,400 average households in the United States. Once installed, solar technology also tends to be low-maintenance. Highly localized solar setups, meanwhile, can work well in rural or developing areas where grid energy is unavailable, unreliable or highly expensive. Active solar technology, such as the Ivanpah generators, usually requires a significant initial investment, but operational costs are low and the fuel -- light and heat from the sun -- is free. Through technological improvements, expanding markets and government subsidies and incentives, solar-technology costs have declined in recent years. In 2014, the U.S. Department of Energy noted that the cost of photovoltaic panels had fallen in price by 50 percent over the preceding three years. Compared with the volatile price fluctuations typical of fossil fuels -- stemming from political tension, strife and other regional factors -- solar offers the potential for more stable energy costs, which benefits consumers as well as utilities. Furthermore, homes or businesses in remote locations that face steep expenses obtaining energy from a centralized network may be able to save money by going off-grid with small-scale solar installations. Renewable energy in general is considered more labor-intensive than the fossil-fuel sector, and thus capable of supporting more jobs per unit of energy produced. According to the Solar Foundation’s 2013 National Solar Jobs Census, more than 142,000 people worked in the United States solar industry in 2013 -- an increase of roughly 20 percent from 2011. A 2009 Union of Concerned Scientists analysis suggested that, were the United States to generate at least 25 percent of its electricity from renewable sources by 2025, the effort could result in more than three times the number of new jobs as would be created by relying on fossil fuels alone for the equivalent production. Beyond emitting greenhouse gases, fossil-fuel combustion can pollute air and water, adversely affecting human health on local and regional scales. The Union of Concerned Scientists gauges the economic repercussions of such health problems in the United States at between $361.7 and $886.5 billion. Solar energy, by contrast, is non-polluting. The technology can also cut down on noise pollution associated with energy generation; photovoltaic solar installations are essentially silent. They’re considered safe for humans to operate and unlikely to produce dangerous amounts of radiation. Solar energy can also be employed to treat or purify drinking water, a significant public health benefit in the developing world. Compared with other potential sources of energy, sunlight is a universally available resource, though of course it varies geographically and seasonally in amount and intensity. Capitalizing on such a potentially productive domestic energy supply can reduce a country’s dependence on foreign energy sources. Furthermore, just as a distributed energy system is better safeguarded from natural disasters, it’s also less vulnerable than a centralized power grid to terrorist attacks. Shaw, Ethan. "Positive Effects of Solar Energy." Sciencing, https://sciencing.com/positive-effects-solar-energy-6192992.html. 24 April 2017.